Spectre Miniatures kündigt die 2. Edition von Spectre: Operations an. · Improved rulebook layout and flow for beginners to learn easily and reference, as well as more depth and tactical options for the experienced player. · Updated Suppression System – faster flowing, easier to track and enhancing the depiction of troops taking heavy fire. · Updated vehicle combat system – a penetration mechanic means vehicles can play a greater role – but – are still vulnerable to infantry, anti-tank weapons and other vehicles. 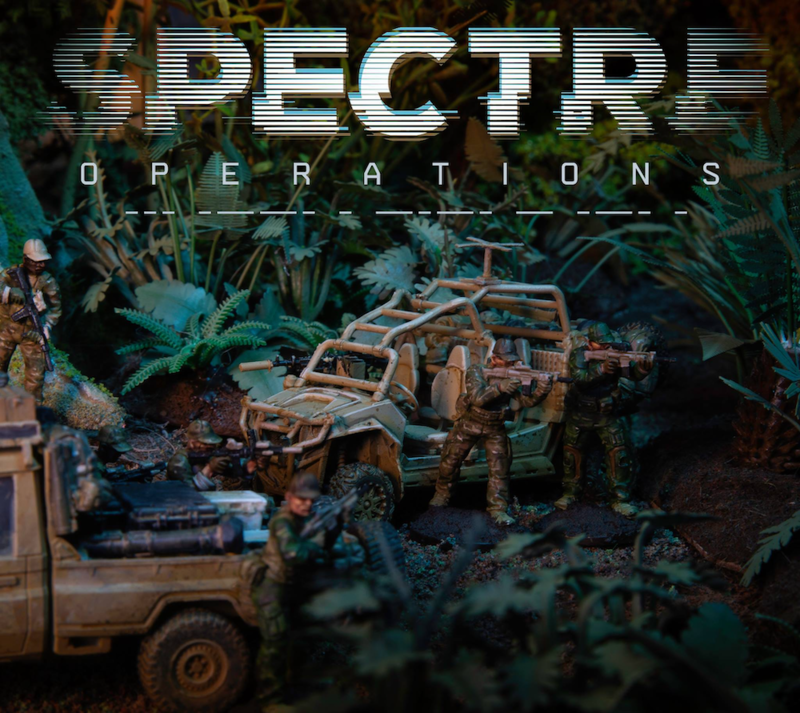 · Updates to the core rules means the system is more able to handle larger games, without a loss of realism or intense gritty, in-depth firefights; Spectre: Operations is all-round better! · New and improved scenario and environmental rules – more weather, battlefield effects as well as night and dawn/dusk rules…. · New kit and equipment – of course! Hä?? Die erste Edition gibt es doch schon! Hab ich mir „leider“ erst vor ein paar Monaten geholt. Regeländerungen hören sich erstmal gut an. Das mit dem „larger games“ seh ich allerdings etwas skeptisch.